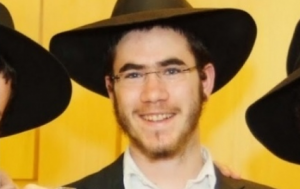 Levi Yitzchak Rosenblat, 22, was stabbed in the neck and abdomen, but is in stable condition. With all due respect to the race-hustler-in-chief, the fear is of black criminals, and it is not subconscious. It is a rational response to the homicide rate in America which is overwhelmingly committed by young black men — against other young black men. Early this morning, a man who like Trayvon Martin, Michael Brown or Eric Garner, could have been Obama’s son if he had a son, entered Chabad-Lubavitch headquarters in Crown Heights, NY—BTW, what happened to basic security measures?—and stabbed yeshiva student Levi Yitzchak Rosenblat, 22, in the neck and abdomen during shachareet, morning prayers.